One of his history books won a Pulitzer Prize in 1948; another, a National Book Award in 1953. He was a recognized authority on Mark Twain. He was the greatest conservationist of the 20th century, according to Wallace Stegner. He wrote a monthly column, The Easy Chair, in Harper’s Magazine for 20 years. The first of his nine novels, The Crooked Mile, drew upon his experience growing up in Ogden. “Benny” DeVoto graduated from Ogden High School in 1914. He spent a year at the University of Utah and then transferred to Harvard. Although a born-and-bred Westerner, he eventually adopted New England just as Stegner had done with Utah. “An apprentice New Englander,” DeVoto called himself. Although he was grounded in the Wasatch Front, “New England gave him a second belonging-place,” Stegner wrote. He was a literary triathlete—novelist, journalist, historian. As a respected historian, his focus was the Rocky Mountain West. As a journalist, he practiced what Stegner called knight-errantry. DeVoto sallied forth from the pages of Harper’s and other national magazines to fight the fire-breathing dragons of the age—Sen. Joe McCarthy, FBI Director J. Edgar Hoover and the House Un-American Activities Committee. He wrote about censorship, civil liberty, isolationism and conservation. He was a champion of national parks and public lands, and he battled the ranchers who coveted them as grazing grounds for their sheep and cattle. He was also instrumental in stopping the Bureau of Reclamation from damming the Green and Yampa Rivers in Echo Canyon. Without DeVoto, Dinosaur National Monument would have shared Glen Canyon’s watery fate. His death in 1955—a year before Edward Abbey went to work in Arches National Monument and the year Terry Tempest Williams was born—ended a career that was “flawed, brilliant, provocative, outrageous … often wrong, often spectacularly right, always stimulating, sometimes infuriating, and never, never dull,” Stegner wrote in The Uneasy Chair, his 1974 biography of DeVoto. 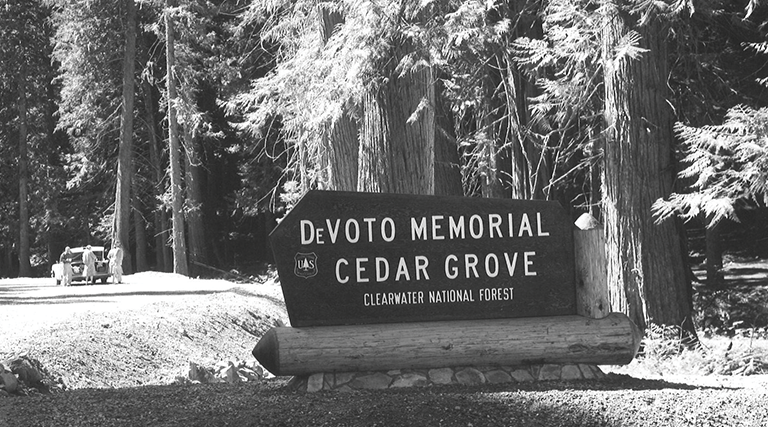 DeVoto tried to make amends decades ago by recanting his criticism of Utah. His self-imposed exile from Ogden, which began at age 25, caused him to re-evaluate his first belonging-place. His denigration of Utah was “ignorant, brash, prejudiced, malicious and what is worst of all, irresponsible,” he concluded in his 50s. Nevertheless, his contrition fell on deaf ears. DeVoto’s legacy was sown with salt even as the sins of others like Edward Abbey were forgiven. You would expect Ogden to favor reconciliation. It is no longer the rough-and-tumble railroad town that gangster Al Capone steered clear of. It has cultivated a “mountain-to-metro personality,” its website explains. The change seems a welcoming development for DeVoto, himself a mountain-to-metro scholar and writer. Who’s to say that Ogden would not profit from another bronze statue on 25th Street? A DeVoto Center at Weber State University? A plaque in the library of Ogden High School? An exhibit at Dinosaur National Monument? Is there no place of honor for a 20th Century “public thinker” in a post-truth age? Besides public thinking, DeVoto was an environmentalist before the word was coined. His activism stands him in good stead with like-minded Utahns in 2019, a validation of Stegner’s belief that his articles would be instructive to future generations. His issues, tenacious as Bull Thistle, are their issues. 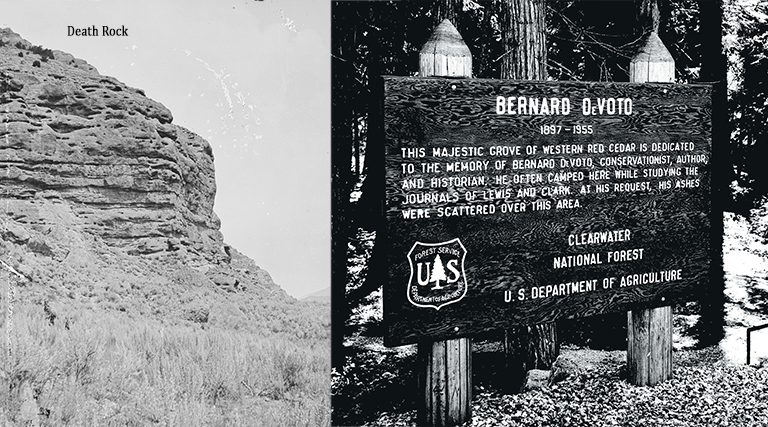 Sixty years later, water is no less valuable in the drought-prone West; wilderness is no less threatened by agents of commerce; politicians are no less venal, and no less than $11 billion is needed to fix the maintenance problems at Bryce, Arches and the rest of the national parks. Who is Bernard DeVoto, then? 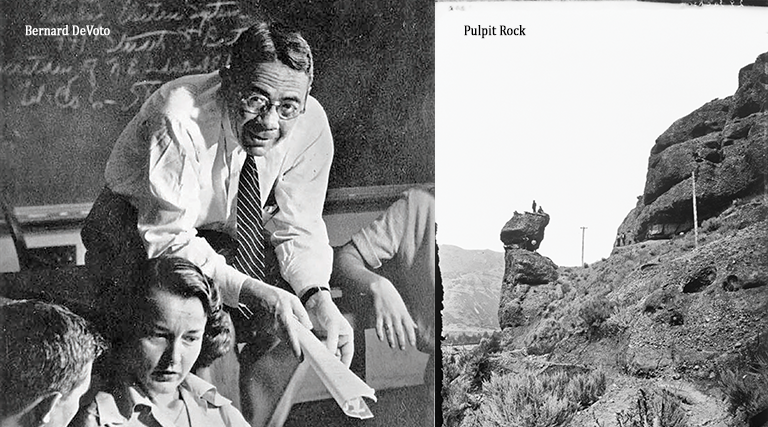 A distinguished Utah native whose legacy ought to be a source of hope—and pride.